If you ever need to record something on video while on the move, the VholdR camcorder from Twenty20 is the answer to your dreams. 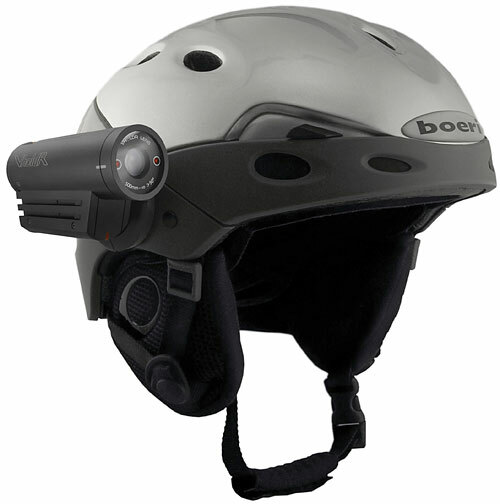 The VholdR can be clipped onto helmets, sunshades, goggles, or handlebars to record TV-quality-video to a MicroSd card. The camcorder can record about two hours’ worth of video on a battery charge. It comes with a USB cable and desktop software to watch, label and share your videos with family and friends on the Web. Weighing only 4.8 ounces, the VholdR is elegant and stylish in an aluminium casing with a groove to fit a camera mount. The VHoldR camcorder makes a fabulous Christmas gift for the adventurous including those who like sky gliding, parachuting, racing, mountain-climbing or extreme sports. It’s sure to catch some exciting action and cool pictures and definitely worth its weight in gold.